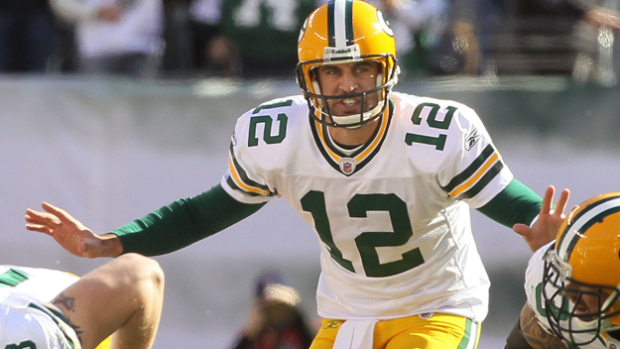 Aaron Rodgers and Company have work to do to get back on track at Lambeau. Stop me if you've heard this one: the Packers are in an 0-1 hole after Week 1. Really? You haven't heard that one? That's odd, because it happened last year. And the year before that. In fact, the Packers haven't won their season opening game since 2011, when they beat New Orleans in a Thursday night shootout at Lambeau Field. A slow start has become a bit of an unfortunate theme for the Packers, and it's one they'll have to reverse pretty quickly if they hope to climb out of the cellar and catch up to NFC North leaders...Detroit and Minnesota? Okay, yeah, maybe it is still early. As I touched on briefly Monday, I'm not sure Pro Football Focus is the be all, end all when it comes to player evaluation, but five players at 1.6 or more is still a good day, even if it is against the Raiders. Muhammad Wilkerson (more on him later), Antonio Allen, Damon Harrison, Dawan Landry, and Calvin Pryor all had good days, and when you throw in Kyle Wilson (1.3) and Sheldon Richardson (1.0), suddenly everybody on the Jets defense is looking good. Oh, and the oft-maligned Jets secondary landed three people on that list, not even counting Dee Milliner, their best cornerback. Six Packers linemen played, and of those six, only Josh Sitton and T.J. Lang managed to keep pass rushers from getting at least bothering Aaron Rodgers. The situation at right tackles is already precarious, and the Packers can ill afford any shaky play from anybody else. Geno Smith, as we've discussed, is no world beater at quarterback. However, his Week 1 stat line was solid (23/28, 221 yards, 1 TD), and he got a lot of guys involved. Seven players caught passes, and Eric Decker, Chris Johnson, and Jeremy Kerley all had relatively good days. Chris Ivory and Chris Johnson (or "the Chrisses", as nobody calls them) carved out productive careers in New Orleans and Tennessee, respectively, before teaming up in New York, and early returns on their partnership have been good. Ivory scampered for 102 yards on just 10 carries, while Johnson netted another 68 yards on 13 carries. As you may know, the Packers were all kinds of miserable against the run last week, so these two could be in line for another above average week. The highly touted Clay Matthews/Julius Peppers pass rushing duo extraordinaire was less exciting than promised in Week 1. They would have shared a sack were it not for a penalty by Brad Jones. Ha Ha Clinton-Dix nabbed Russell Wilson one time, but it barely counts as a sack to begin with. Wilson was at the line of scrimmage and didn't lose any yards on the play. The Packers will have to do better this week if they hope to pressure Geno Smith into some mistakes. On Halloween four years ago, the Packers dressed up like a team with a good defense and shut down the Jets, securing the shutout en route to a Super Bowl championship. Okay, maybe that's a little harsh, but even as someone not given to hyperbole, it's truly astonishing to imagine a Packers team shutting out an opponent. Aaron Rodgers was ordinary at best that day (15/34, 170 yards), John Kuhn ran the ball eight times, LaDainian Tomlinson was in uniform for the Jets, and the two teams combined for 15 punts. Truly a game to remember. Wilkerson fits the exact profile of the kind of guy you'd want along your 3-4 front. He's large and angry and also a very good pass rusher, clocking in at 9th best in the league in PFF's rankings at his position. He's credited with an excellent 10.5 sacks last year and has raised his sack total ever year he's been in the league. If the Packers are shaky again up front, Wilkerson could be the guy reaping the benefits. ...their ground and pound success carries over from Week 1. Neither Chris Ivory or Chris Johnson is Marshawn Lynch, but I don't know if we can reasonably expect the Packers to really buckle down in just a week's time. If the Jets can duplicate or closely approximate their performance from last week, it'll be an uphill climb for the Packers to get back into the game. I think the Packers are capable of playing from behind, but we've seen enough late game collapses from the Packers' defense to make me nervous about falling behind and needing a stop or two to get back into the game. ...the Jets secondary can't slow down the Packers aerial attack. 10 or 11 paragraphs ago, I praised the Jets' secondary, but there's no Richard Sherman on this team. The Packers will have the full field available to them, and guys like Jarrett Boykin and even Davante Adams will have an opportunity to work a little bit more freely. Options can only help the Packers. I think the Packers are the better team, but I think the Jets have the players to push on Green Bay's weak spots. If they can pound the defense and pressure the passer when the Packers are on offense, there's a chance the Jets could keep it close...or even win. But at their home opener with a week to lick their wounds, one would expect the Packers to come out firing. The Jets won't go away easy, but the Packers will put them down on Sunday.